Learn about Budapest’s vibrant Jewish District and how this unique neighborhood has become one of the most exciting parts of the city over the years. 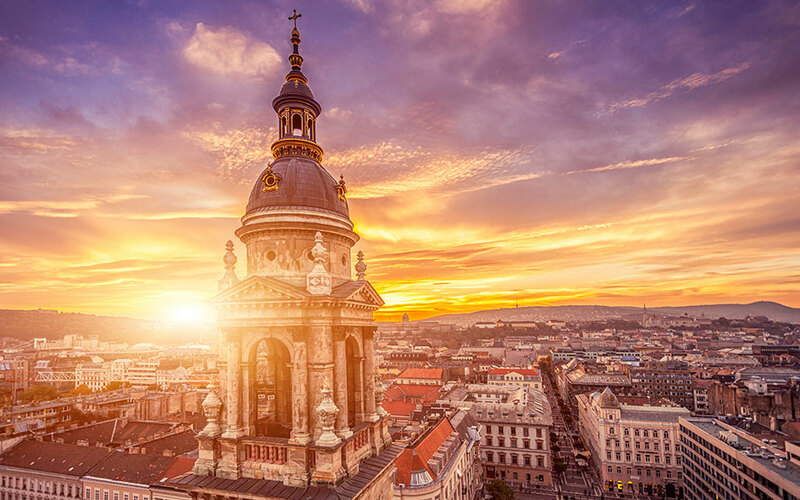 You’ll visit both traditional as well as modern sites and places in the area, including beautiful synagogues, design shops and galleries that shape the identity of this truly exceptional part of Budapest. Budapest’s 7th district has gone through a fascinating transformation over the last decades. The area emerged as the city’s Jewish district in the early 20th century with its several synagogues, cafés, shops, schools and more. During World War II, it was in this area, where the Budapest ghetto was built and where the Jewish community of Budapest survived the war (most Jews outside of Budapest were killed during the Holocaust). The Communist era brought many changes to this part of the city as well, however, Budapest’s biggest Jewish community still lives in this neighborhood. During this tour, you’ll learn about the history of this beautiful area of the city from the early times to the most recent happenings, when many buildings in the neighborhood were demolished. You’ll explore the different layers of the Jewish district, where you can find contemporary galleries and design shops right next to old synagogues and other historical sites. You’ll also see some beautiful murals and interesting street art that often make a clear and critical statement about Hungarian politics. This tour also focuses on food and so you’ll get to taste some delicious Jewish dishes. By the end of the tour, you’ll have a deeper understanding of Budapest’s Jewish district and its history, culture and cuisine. On this tour, you’ll sample the following foods: jewish eggs, goose cracklings, pickled vegetables, matzo ball soup, sólet (cholent), gulyás (goulash soup), walnut, apple, poppy seed dumplings, lecsó (pepper and tomato stew), red wine and beef stew with egg barley, flódni (poppy seed, apple, and walnut pastry), matzo cake. The tour also includes coffee, glass of wine with lunch, kosher pálinka, Tokaji aszú wine and mineral water. Budapest’s Jewish culture is truly fascinating and you can capture a lot of it just by walking around in the 7th district. However if you want to fully understand the city’s Jewish history and the modern way of Jewish life along with its wonderful culinary scene, then we definitely recommend that you sign up for this small-group tour. This tour is led by a food-specialized guide who is also knowledgeable about the city’s Jewish history and culture. Informative and Great Tasting Tour! Hearing about history and culture while being fed!